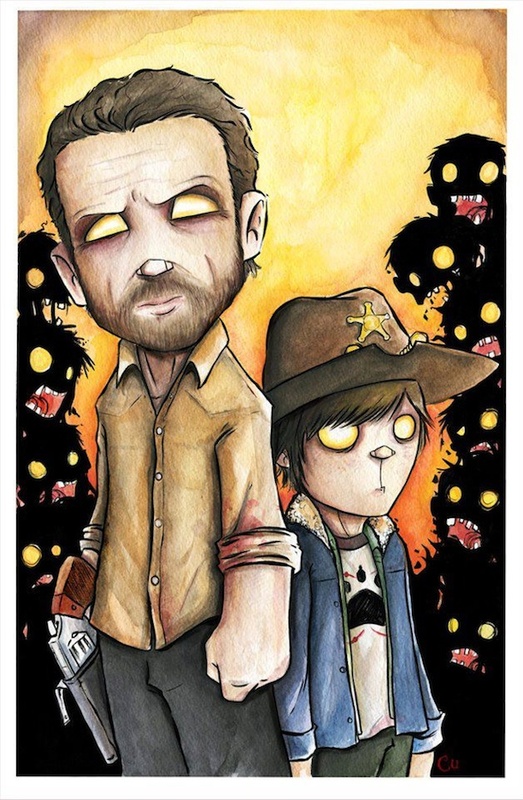 Fan of the hit AMC show The Walking Dead? If so, you'll love these new watercolor paintings by artist Christopher Uminga. Almost more impressive than the final product is seeing each piece come together. For resident badass Daryl Dixon, notice how the artist first starts off by drawing with ink and then slowly adds in the details with watercolors. Of course, the zombies are the real stars of the show and these prints though. Love how they're all ominous dark figures in the background.